The sky parted in two, one side overcast, the other a stirring mess of charcoal ominously getting closer. The winds picked up, and right away we knew we had to return our bikes or be stuck walking in what looked like a serious shower. We raced, I returned mine, and it turns out Erika had forgotten her bike lock key. 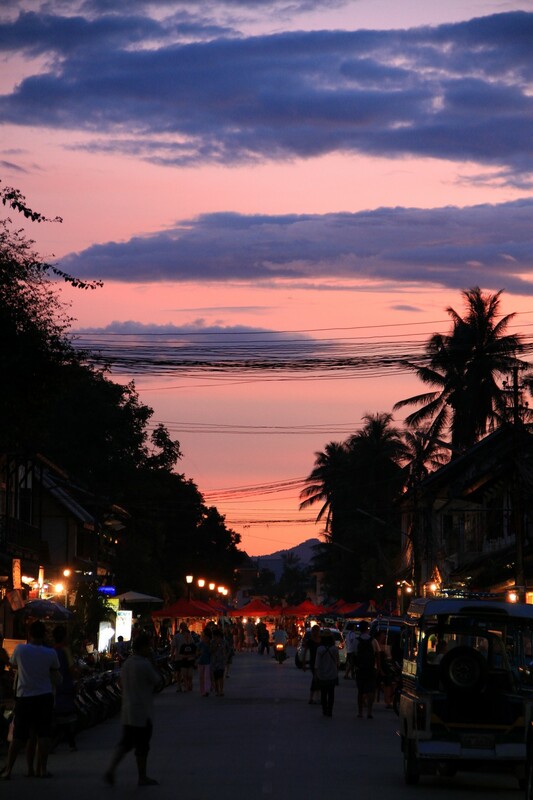 She heads back and I started to jog a three block French colonial stretch of Luang Prabang. I get to the corner of our street, only 100 meters from our place, when I hear a commotion and see people running in all directions. Just half a street down you could see the rain pummeling people racing towards cover. Anyone caught for just five seconds in the open would be soaked. But wait, there’s more!